***I was in touch with the father of five star APB, Chris Tyree (Chester, VA). on Monday morning and we’ll have a full update on Tyreefollowing the trip but interestingly enough, the trip was still ongoing on Monday. It’s no small thing in my mind for a family to spend such a relatively significant amount of time on an unofficial visit. They arrived in OKC around noon on Saturday and Tyree’s father told me they won’t be leaving until sometime later that Monday. That’s essentially an official visit and I do expect them to return this spring for an actual official visit. Also, in reference to my full write up on Chris Tyree, Tyree’s father did get clarification on the rules regarding the number of official visits that can be taken in the spring. They can take multiple. So, expect them to do so and make an earlier decision than was expected. Again, we’ll get a full update shortly with a complete conversation. 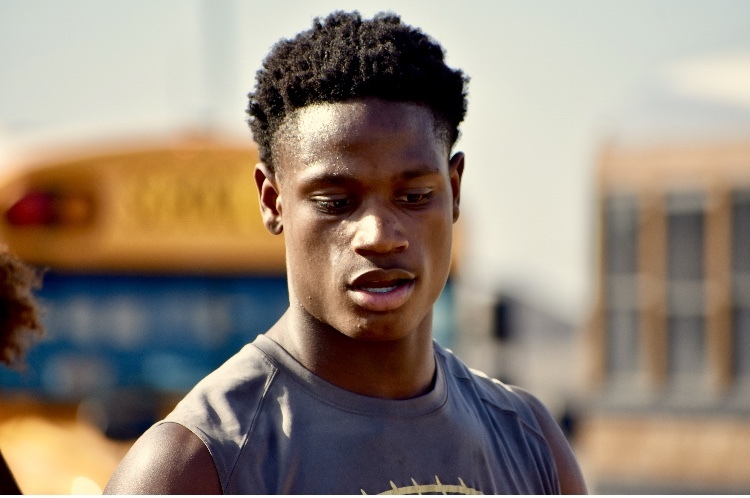 ***Also, I’m scheduled to speak with 2020 CB, Ryan Watts later. But did again exchange some text messages with him this past weekend. My initial impression was that Watts really enjoyed his visit but after texting him Sunday night, I got the sense it was a bit hard to top that super bowl party they had down at Texas A&M. Didn’t want to speculate too much just yet because the conversation was via text but when I got the chance to speak to him again and I got a clearer picture. Watts did pick up a Texas A&M offer while on his visit to College Station. After speaking to him today, it just reminded me why I try to make sure and get the players on the phone or speak to them in person and not rely too heavily on text. In some circumstances text can be misleading. This was definitely one of those circumstances. I’ll have a full write up on Watts (and some others I owe you all) but I wanted pass along a note and say very clearly, after actually speaking to Watts, I think OU won the weekend. ***Speaking of Texas A&M, they were able to land a commitment from one of the Sooners top defensive backs targets in Jaylon Jones (Cibolo Steele). I suppose one way of looking at this is it doesn’t come as a huge blow because the Sooners weren’t a big player in this recruitment, anyway. ***Which kind of leads me to Prince Dorbah. Also, scheduled to speak with him in the near future. But did want to pass along something he said via text to me when I asked him about the difference between the current defensive staff and the previous defensive staff, “I don’t know yet. Until they play”. I think in a sense that sums up how it will be for the Sooners a bit in the early going as people not only try to familiarize themselves with OU’s new staff but also figure out if OU is really going to be different. I sense the defense can do a lot to help itself in the spring game and during spring practice when players drop by as they’ll get a chance to actually see an aggressive defense vs. the passive defense of the past. Again, we’ll have a full conversation with Dorbah later this week. *** OU brought in five players this weekend. 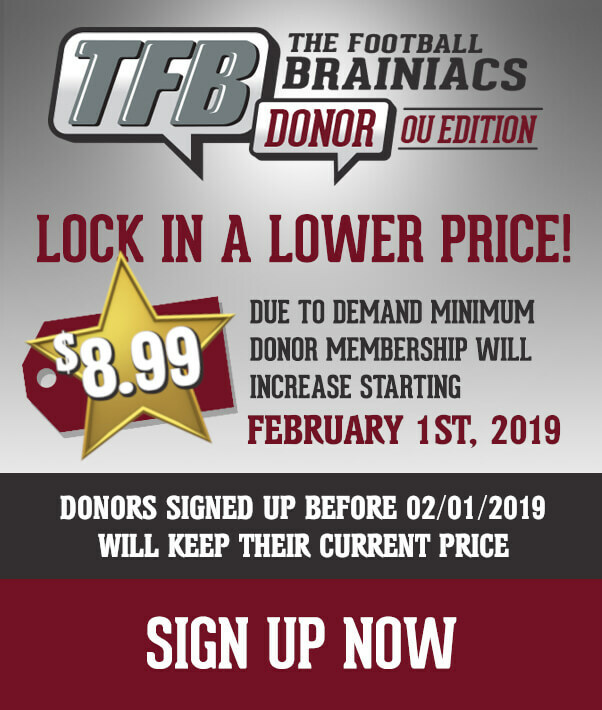 Four were offers but OU had a wide receiver they hope to convince to be a recruited walk-on in Finn Corwin (5’10, 165) out of Dallas (Highland Park), Texas, the same school the Sooners hope to sign weakside defensive end Prince Dorbah (6’4, 210). Dorbah made another trip to OU this weekend along with his high school teammate Corwin. *** Corwin has been a very productive receiver at Highland Park, but he’s not very big and is not a blazer and the recruiting offers have not come his way. OU, Arkansas, SMU and Oklahoma State have all offered him as a recruited walk-on, but he has not received one scholarship offer. *** The Corwin’s are an OU family and OU is in pretty good shape here. Corwin loved the visit and will make a decision soon. *** Last season Corwin caught 89-passes for 1,682-yards and 16-touchdowns and yet he does not have any official offers from anybody and that is puzzling to him. For his career, he has 126 passes and scored 29-touchdowns for a team that won a state championship. *** We will find out what Corwin is thinking but things look pretty good for the Sooners. *** For Dorbah he has been to OU several times already but he always enjoys coming to Norman. 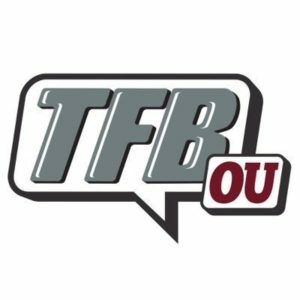 *** OU has been recruiting Dorbah for a while and during that recruiting OU has changed defensive staffs but he is getting to know new DC Alex Grinch and the staff. *** It’s clear that Dorbah likes OU and the Sooners are very much in the race along with LSU and Texas. Dorbah had a great year in 2018 finishing with 92-tackles, 36-tackles for loss, 20-sacks, one pass broken up and one safety. Ringo said there is a decent chance he will make it to OU’s junior day this month with his teammates, 2020 Jocobe Covington and 2020 OLB, Damian Sellers. BTW, Sellers is a beast. Seriously. I know y’all are already familiar with Ringo and Covington but you probably haven’t heard a ton on Sellers. If the Sooners and Sooner fans are lucky, you’ll hear a lot more about him. The Sooners look to close out their 2019 recruiting class (for the most part) tomorrow as the traditional signing day is upon us. David Ugwoegbu OLB/DE Katy, TX – Ugwoegbu committed to the Sooners back on January 17th and shut his recruitment down. We fully expect his letter to be in for the Sooners early tomorrow. Danielson Ike OL Kansas City, MO – Ike visited Norman back on January 11th and by all accounts the visit went extremely well and the Sooners hold a lead here. Following the visit to OU, Ike visited SMU and Kansas State, but as we reported last week, sources close to Ike feel very good about where the Sooner’s stand with him and it would be a surprise if he were not a Sooner tomorrow. Enokk Vimahi OL Kahuku, HI – Vimahi also visited the Sooners back on January 11th and by all accounts they knocked the visit out of the park. Coming into the visit, we had a belief that the big OL was a USC lean, however, after the visit, we believe OU took a commanding lead. Vimahi followed up the visit to Norman with a visit to Ohio State and following that visit we still felt as though the Sooners were the team to beat. That’s when things changed on OU’s end. We first reported that the Sooners never set up an in home visit with Vimahi and we are operating under the impression as though the numbers caught up with OU and they had to make a choice in regards to taking two of the remaining three targets (Ike, Vimahi, Pierce). At this time we do not see Vimahi as part of this class. Brandon Pierce WR (JUCO) College of the Canyons – We were the first to bring you the name of Brandon Pierce as a wide receiver target back in November. The speedy receiver hails from the same college as former Sooner Marquise Brown and the word is that Pierce may be even faster than Hollywood. It is our belief that Pierce will not be signing with the Sooners tomorrow, or anyone else for that matter, as he still has some work to do. Pierce has set his official visit to Norman for the spring game and we would not be at all surprised to see the Sooner’s wrap things up at that point and receive a commitment from him. When exactly he will sign and show up in Norman is a little more up in the air. Right now, I suspect he will be a similar case to David Swaby (OL last year) and will arrive in Norman at some point in the summer. Obviously we will have more concrete information for you when we get some more specifics. K plans on speaking with him next week. OU has begun an intriguing tactic of recruiting defensive linemen in the states of South Carolina and Alabama. It may seem curious since both Clemson and Alabama are located in those respective states. But when you think about it, with Clemson and Alabama typically getting the best defensive linemen, it’s possible and perhaps even likely that those two schools will run out of spots before others. Leaving the talented kids playing right in their backyard looking elsewhere. One defensive lineman in Clemson’s territory that the Sooners have offered and are actively recruiting is Alex Huntley out of Hammond School (Columbia, SC). Interestingly, Huntley noted that he has some family ties to the state of Texas. Huntley tells me that coach Beamer came by to see him back in December and then a couple weeks back, Lincoln Riley stopped by to see Huntley as well. Alex added that he plans on visiting Oklahoma this month which I expect to happen for the OU Jr Day which will take place on the 23rd. Sooners freshman WR Jaylon Robinson has entered his name in the portal. The usual reminder applies…this does not mean he has to transfer, but it’s a rare occurrence when one comes out of the portal at his original entry point. Oklahoma WR Jaylon Robinson has entered the NCAA transfer portal. Had 3 receptions for 28 yards as a Freshman.